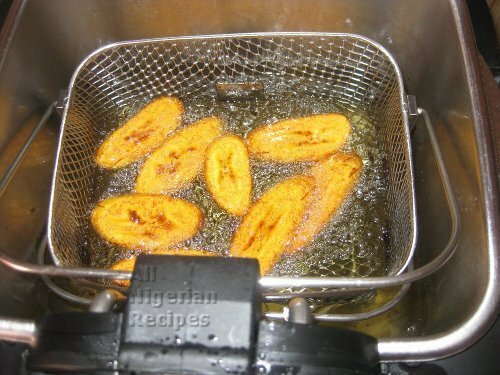 Fried Plantain is one of the easy and fast Nigerian food recipes. It often features in Nigerian breakfast meals. It is also a major side dish to all the rice recipes and can be enjoyed by people from all over the world. For tips on how to fry the best plantains, see 9 Tips for Frying Perfect Plantains. Vegetable Oil: enough for deep frying. 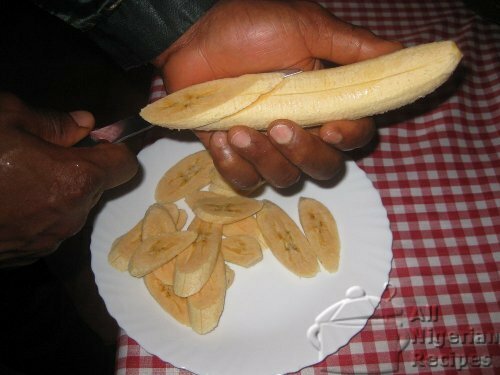 Wash, peel and slice the plantain as shown. Place in a bowl and add a little salt. Toss the plantain to ensure that the salt is evenly distributed. Pour a generous quantity of vegetable oil into a frying pan and allow to heat. If using a deep fryer, preheat the oil to 170°C. 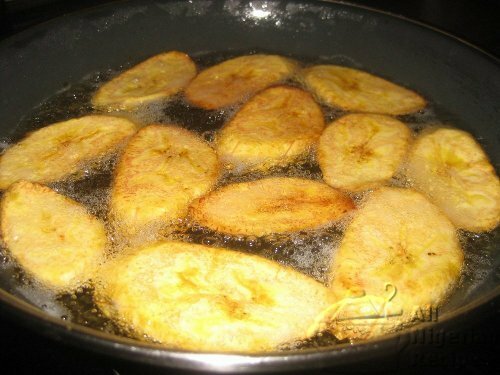 When the oil is heated, add a considerable quantity of the plantain slices to the oil, leaving enough room for the slices to fry evenly. Fry till a desired browning is achieved. Remove and place in a sieve to drain out the oil. Fry the next batch of the plantain slices following steps 1 through 4. Watch me fry plantains in the video below.